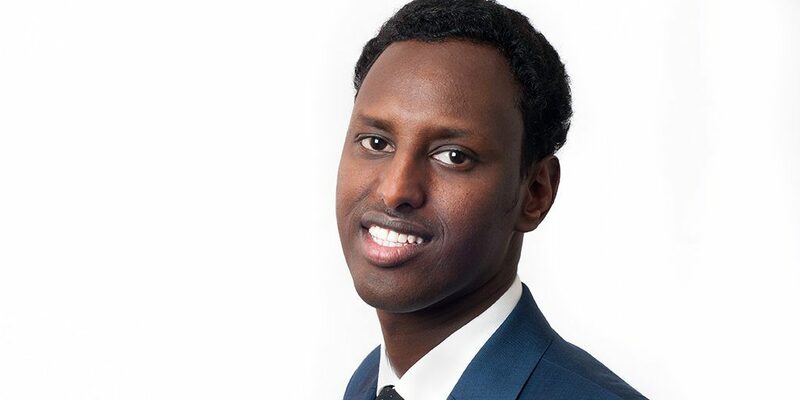 Somali-American entrepreneur, Hamse Warfa, was named the Department of Employment and Economic Development’s (DEED) Assistant Commissioner for Economic Opportunity on March 22nd. The appointment makes him the highest ranking African immigrant in Minnesota state government. Governor Tim Walz’s transition team had in January announced Warfa as one of three finalists for the position of DEED commissioner to serve in his cabinet. The commissioner position was instead given to Steve Grove. Warfa is a community builder, philanthropist, and entrepreneur who most recently Cofounded BanQu Inc, a blockchain powered social impact platform bringing years of experience to the new position. “Minnesota continues to experience one of the worst economic racial disparities in the nation… We have a lot of work to do in this area. I’m committed to making this a priority at DEED,” said Grove. DEED is the state’s principal economic development agency, creating programs to promote business recruitment, expansion, and retention; international trade; workforce development; and community development. Warfa’s position is new and will see him lead a new division – the Office of Economic Opportunity within DEED that replaces the office of Economic Equity and Opportunity that was formed under former governor Mark Dayton’s administration in 2016. Warfa holds a Masters in Organizational Management and Leadership from Springfield College in Massachusetts, as well as a Bachelor of Arts in Political Science from San Diego University.